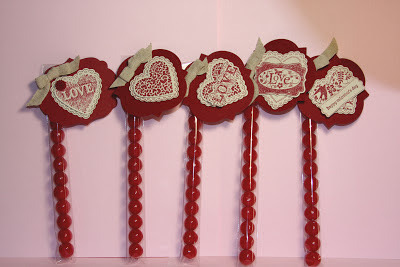 Today I'm going to show you how to use alternate stamps to make the same project I showed yesterday. Yesterday's post showed a treat sample using a stamp that was one of the Single Stamp Specials and was offered only for a limited time. 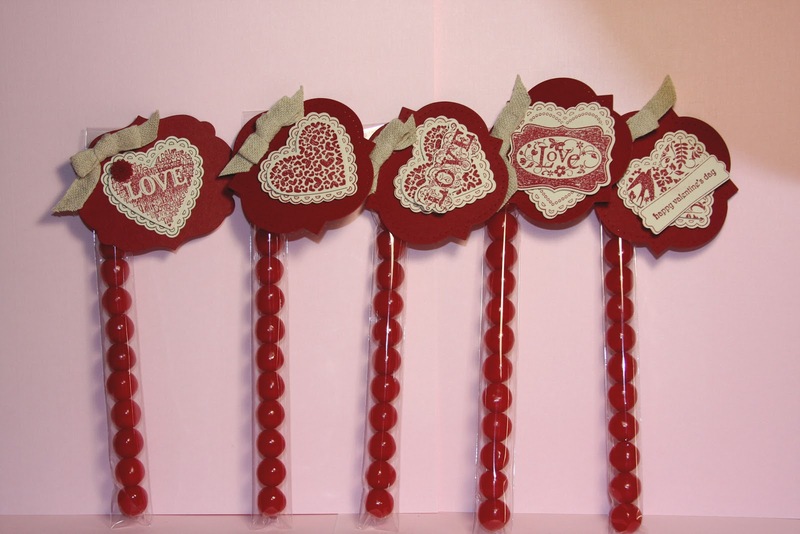 You can make the same Valentine project with many different stamps. I pulled from current sets and retired sets. You could also create images from your digital downloads and make hybrid projects (tradition and digital images). Don't miss out again!. Get these new single Stamps today, while they are still available. Here are some additional samples of the Cellophane treat bags using the same color combinations, die cuts and ribbon as I used for yesterday's project. My original project used the Love Stamp, (132334) one of the limited time-offered Single Stamps, It also used the Hearts a Flutter Stamp set (w-129249, c-129252) from the Spring Catalog. That's the sample on the far left. I checked my own stash of stamps. I admit, I haven't been good about getting rid of all my old stamps, so I found not only current stamps, but also a few retired sets that all work well with this quick and easy design. First the current stamps: The sample on the left uses You are loved (w-123777; c-123779) from the main catalog, Hearts a Flutter (w-129249- C129252) from the Spring catalog, and the sentiment is Teeny Tiny Wishes. I also used the Modern label stamp from the Affection Collection set from the Holiday mini (no longer available), but the sentiment would look just as good stamped and punched with the modern label punched and the edges sponged with Cherry Cobbler. I used the heart punch on the heart stamp from the You are loved set to get the shape and size I needed for this design. I'm really pleased with how this one tuned out. The sample on the right uses the another stamp from the You are loved set from the main catalog, and Hearts a Flutter. from the Spring mini One tip on this sample... I cut the Hearts a Flutter heart apart and let some show on the bottom and some show on the top of the "Love " label. Next - retired stamps: If you're stamping on a budget, a great place to find bargain stamps is in the Clearance Rack. 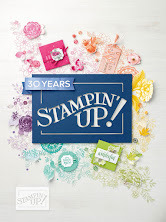 Stampin' Up recently starting offering retired stamps along with their retired papers and accessories. Look for the P.S. 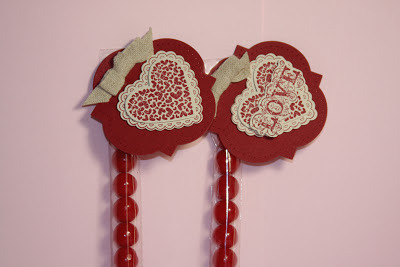 I love you set (w-125460) and order it from my Stampin' Up! store today to finish your Valentine projects. The sample on the left uses the heart from P.S. I love you. 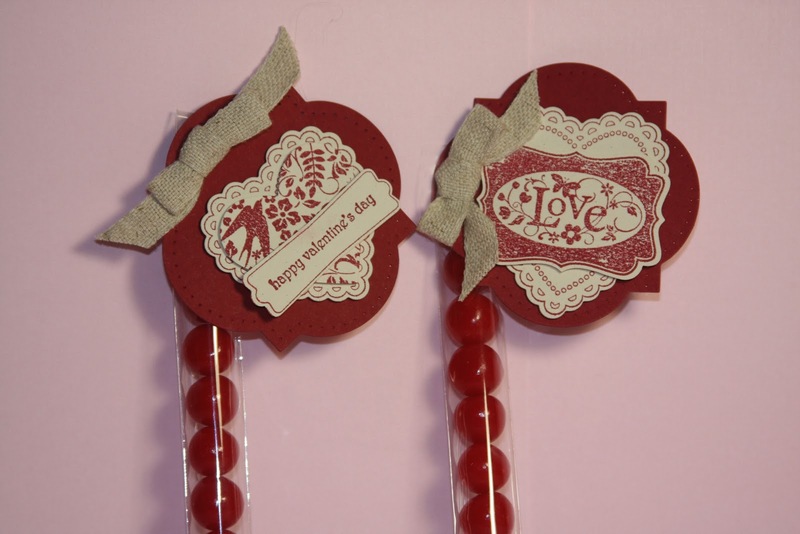 The sample on the right is the same except I added the "Love" sentiment from Affection Collection set (127946). I love how you can mix and match stamps from different sets, from different catalogs and even from different years and still come up with great - looking projects. So what are you waiting for? Get creative! Dig out those old sets and mix them up with your new sets. You'll be surprised at how creative you can be once you get started. Need more sets? Place an order today to take advantage of the Sale-A-Bration specials going on now. read more below. Accessories: Hearts a Flutter Framelit Dies (130159), Windows Frames collection Framelit Dies (129021), 7/8" Cotton Ribbon (127844), Raspberry Dahlias (127556), 1" X 8" Cellophane Bags (124134), Fancy Fold Impression Folders (127751), Heart Punch, Glue Dots, Dimensionals, Big Shot Die Cutting Machine and cutting plates. 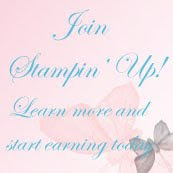 Shop today and earn FREE products for each $50 you spend. For every $50 you spend, you'll get to select one of 19 FREE Sale-A-Bration products. Below is a sample of one of the selections you can pick. To see all 19 items you can select from, check out this link. 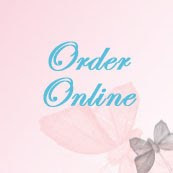 Be sure to use your scroll button at the bottom of the page to view all the items available. 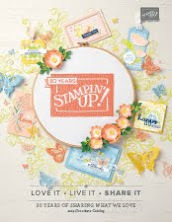 Then start shopping digital downloads, stamps, kits, ribbon & trim or tools from the Stampin' Up! store. When you finish checking out, the store (the strore needs a clever name--what shall we call it?) will tell you how many Free products you qualify for and you can add these Free products to your order! Have you signed up for the Dallas Regional Event -- Feb 16? Demos, retired demos, customers, or crafters are all invited. Guests can register through their demo. Please contact me if you are interested in attending. Sign up ends January 30. Read more about what happens at regional events in yesterday's blog post.